A landlord from Hastings has been fined for failing to install a fire alarm in one of his properties, according to Hastings Borough Council. 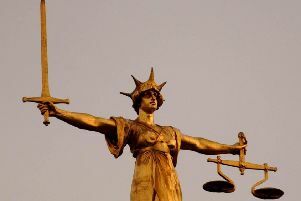 Tom Wallace, of Breadsell Lane, Hastings, pleaded guilty to failing to comply with the improvement notice on November 2. He also pleaded guilty to failing to comply with a range of regulations under his licensing and management responsibilities as a landlord. Hastings Borough Council, which prosecuted Mr Wallace, said he was fined a total of £13,000 for 13 offences, ordered to pay costs in the sum of £432 and a victim surcharge of £100. The financial penalty was ordered to be paid within 14 days, the council said. Andy Batsford, lead councillor for housing, said: “We welcome the outcome of this case and hope it sends a clear message to those responsible for managing or renting property that failing to comply with responsibilities placed on them will not go unchallenged when discovered. The case concerned 49 Carisbrooke Road, St Leonards, where Mr Wallace is the freeholder of the property, according to the council. The Hastings Borough Council housing enforcement team inspected the property in July 2017 and found that the building had no fire alarm system or emergency lighting. In some areas of the escape route, it did not provide 30 minute fire protection and as a result an improvement notice was served, the council said. This required a fire detection system and emergency lighting to be fitted which would provide early warning of a fire to residents and reduce the risk of harm in the event of a fire. The building is a house in multiple occupation, and there are rules regarding its management to ensure the building is maintained to a level which safeguards the health and safety of the people who live there, according to the council. Evidence from inspection of the property revealed the building was not being managed in accordance with these regulations, the council said. Defects at the property included damp and disrepair and there were broken steps and stairs. There was also a large shrub growing out of the back wall of the building.